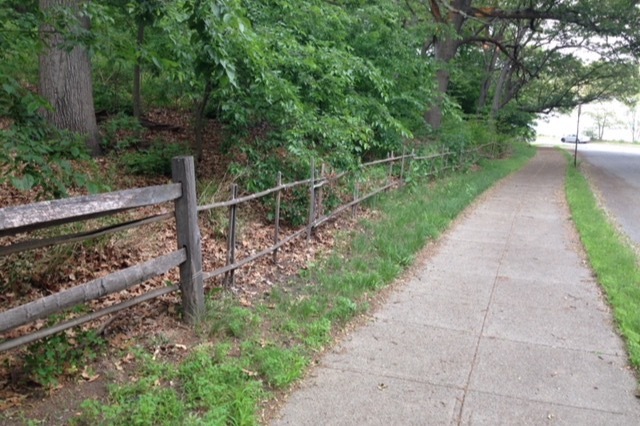 Blackstone Parks Conservancy needs your help in order to finish a post-and-rail fence in an important area of our park that protects over 1000 native plants. fence - a 225 foot long section that will protect the restored area and enhance its beauty. We have a generous donor who has pledged to match each gift dollar for dollar until we reach our goal of $1800. Your donations will go directly to the completion of this fence and towards the protection of the native plants in this portion of the park. This is a great opportunity to give your first online donation to support the important work in Blackstone Park that helps to protect our precious park and the native plants within it. Thank you! With checks received we are up to $880 towards our fence. Only $1000 to go! Help us spread the word and thank you! Hello! Thank you for your support. To date we have raised $455 (with a couple checks mailed in). Please share our fundraising page to help spread the word.